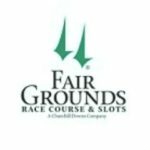 Fair Grounds 03/24/2018 LA Derby! Ok guys, this is a pretty impressive card for Louisiana Derby Day and there should be some big payouts with huge fields and all eyes on this track for the first 100 point Derby prep race of the season. This is not one of my regular tracks, but I put in the work for my own benefit and figured I would share my full card selections with my faithful readers.